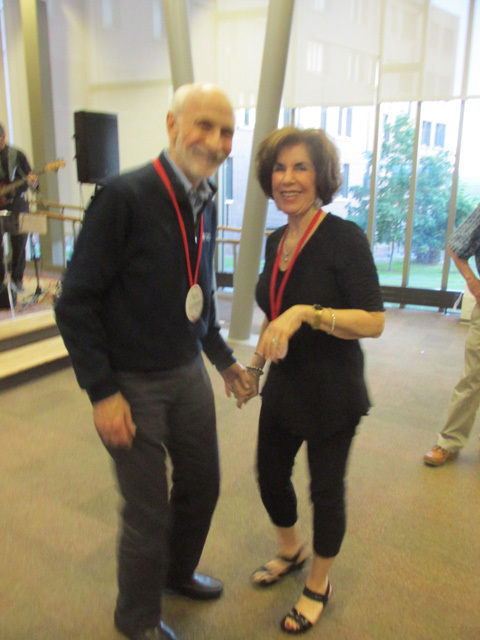 And, if you saw the dozen “kids” cutting a rug to the rock and roll tunes of The Backtalk Band Friday night at Class Headquarters, the Alice Cook House, there would be no doubt in your mind. 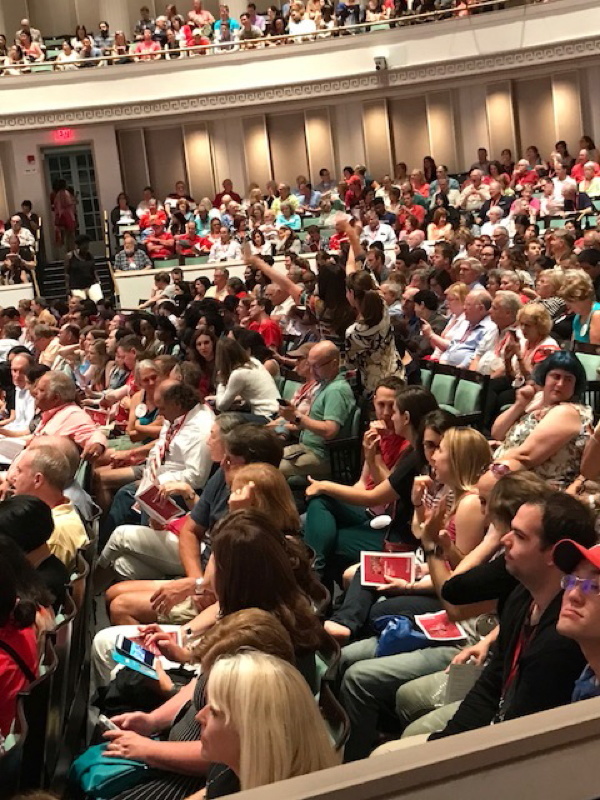 130 classmates, hubbies, wives, and significant others descended upon The Hill for a great three days—great weather, great events and a great chance to, once again, renew those longtime ties. 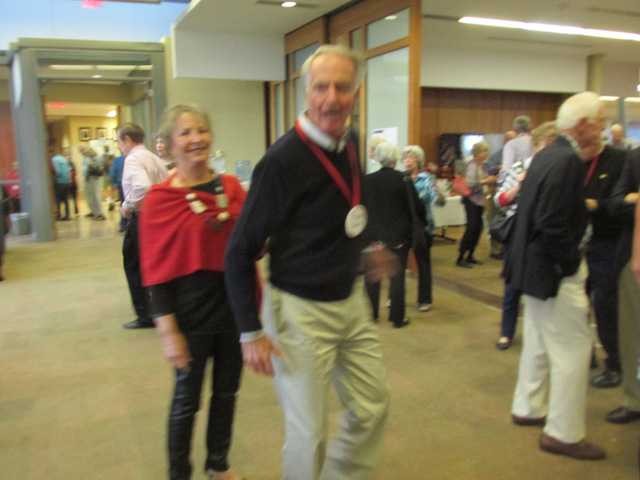 Led by Reunion Chairman Neil Schilke, the planning of committee members Frank Quirk, Nancy Williams Clark, Char Jones Collister, Evelyn Eskin, Don Juran, John Lowrie and Alex Vollmer paid off big time. 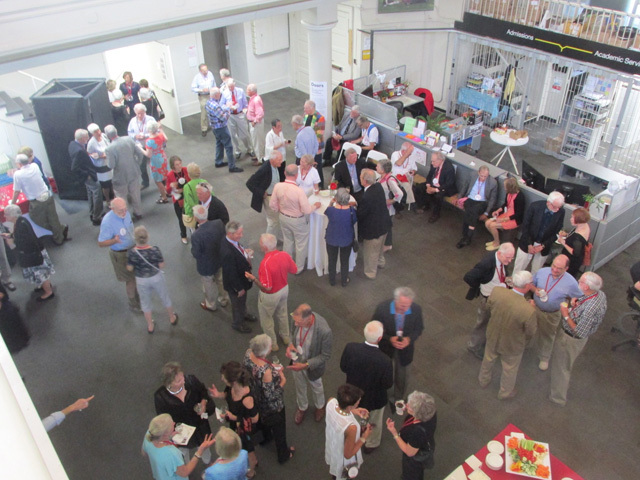 Neil set the stage: “Meeting, greeting, eating and learning will be an active part of the Reunion.” Wine and snacks were a pleasant introduction at the welcoming reception and informal dinner on Thursday evening. 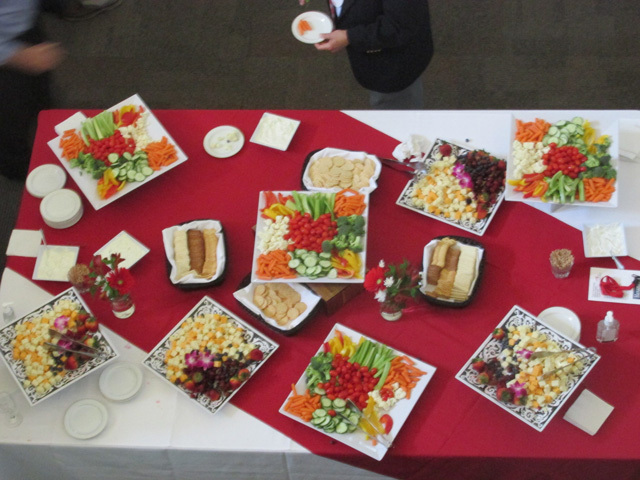 Newsletter Editor Mike Eisgrau took the “eating” part seriously and headed straight for the pizza and salad bar. 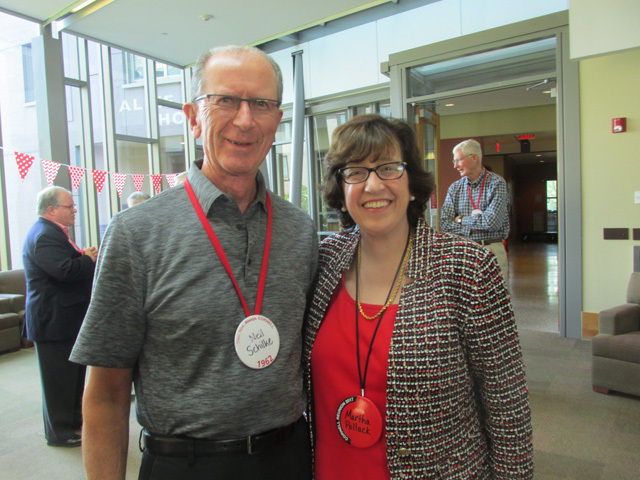 In singles and couples the 62ers began arriving—and that started to take care of the “meeting” and “greeting.” Those who arrived Thursday afternoon had a special pre-dinner treat: a visit from new Cornell President Martha Pollack. 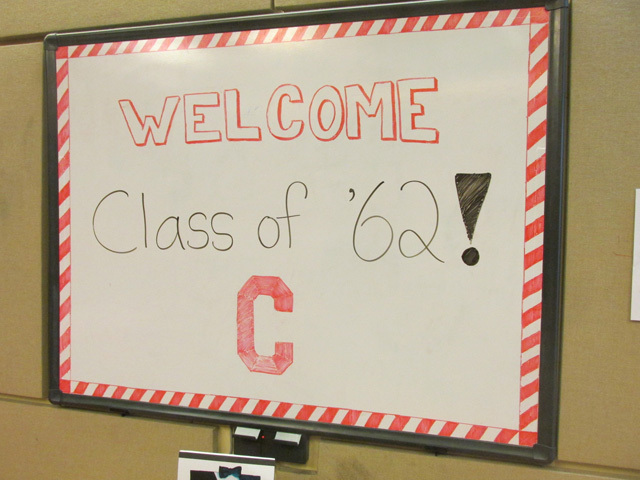 The class has a Reunion tradition of presenting excellent Cornell faculty speaking about their work. 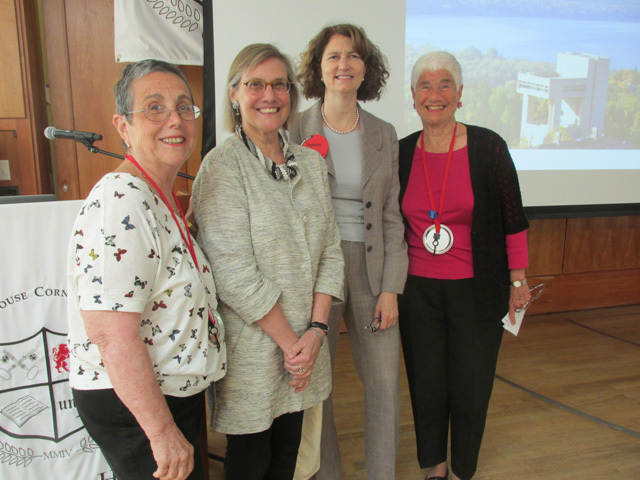 That tradition continued Friday morning when our Symposium, chaired by Evelyn Eskin, featured Dr. Stephanie Wiles, The Richard J. Schwartz Director of Cornell’s Johnson Museum of Art. 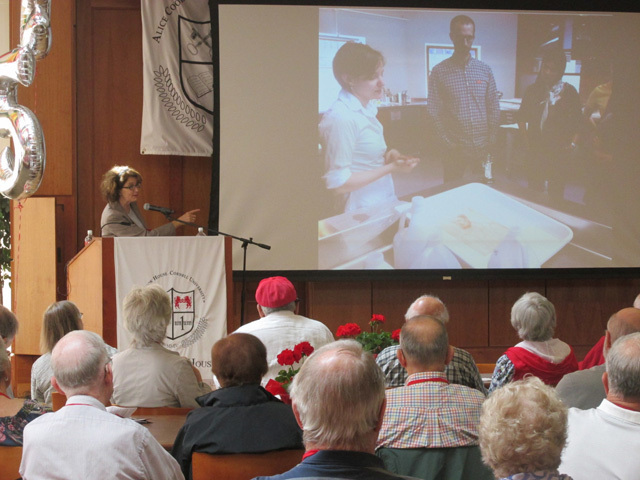 Her presentation described some of the trailblazing outreach efforts being made toward many parts of the Cornell community—from Engineering to Soil Science and more—to encourage student and faculty involvement with the Museum. Throughout the weekend art and photography were major themes. 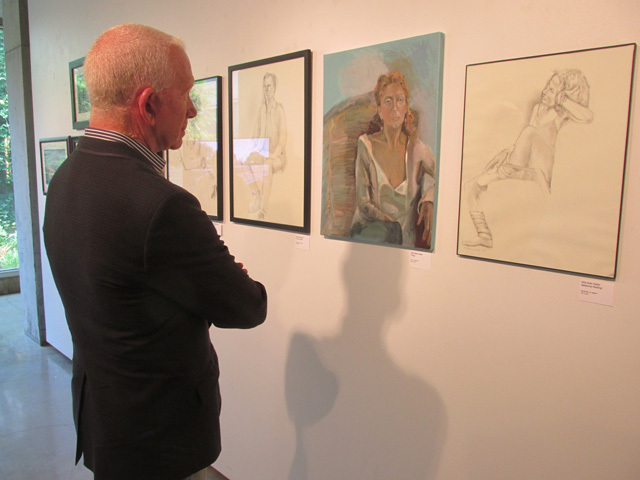 To begin with, no less than 13 classmates exhibited their paintings, mixed media, and sculpture at the Bibliowicz Gallery in Milstein Hall. 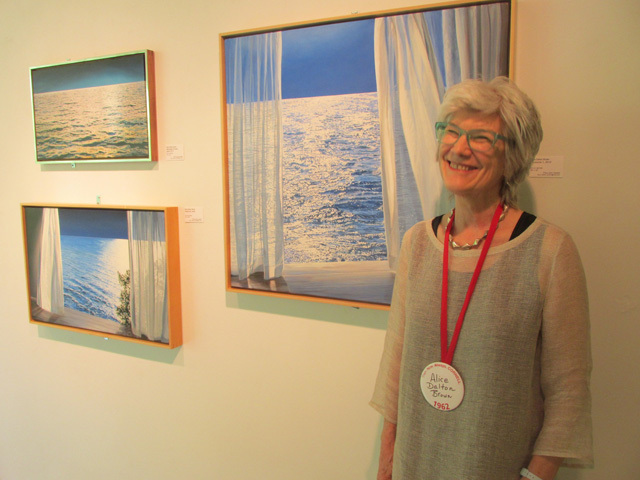 Nancy Williams Clark did a fine job organizing the exhibit, which included her works, as well as those by Al Leitch, Priscilla Snow Algava, Willa Radin Swiller, Patricia Carlin White, Margie McKee Blanchard, Bonnie Graham MacDougall, Richard Alther, Kelly Behan, Cathy Van Buren Bomberger, Alice Dalton Brown, Aline Holstein Lotter, and Bill Coggshall. 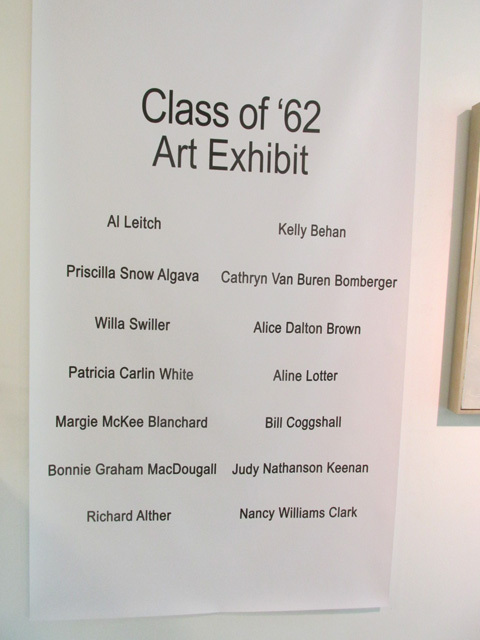 This class artists exhibition was just one of the many special class events going on during the weekend. 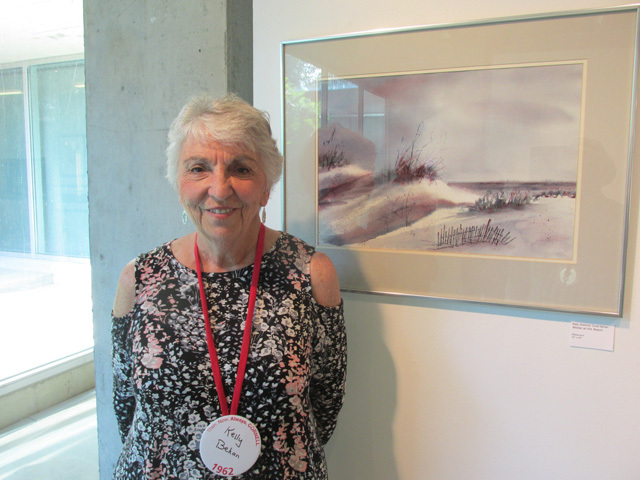 For many years our class has been providing funds for the singular and exceptional Class of 1962 Photography Collection at the Johnson Museum of Art. This collection features an outstanding array of historic and contemporary images by acclaimed American and European photographers. At the Symposium, Nancy Green, Drukier Curator of European and American Art, Prints and Drawings, 1800-1945, presented a slide presentation and background behind the most recent images purchased for our collection. In addition, the entire amazing collection was on view in all its glory at the Johnson Museum. The exhibit, which was hung at the museum the month prior to reunion, was left up until the end of June so that one of the museum educators could use it with a special group. 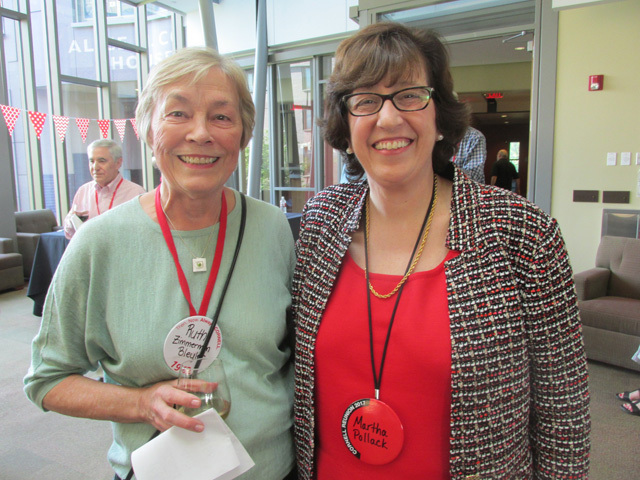 Kudos to Class Gift Committee Chairperson (and Veep and Class Historian) Judy Prenske Rich for her many years of efforts to make the collection a continuing and growing reality. 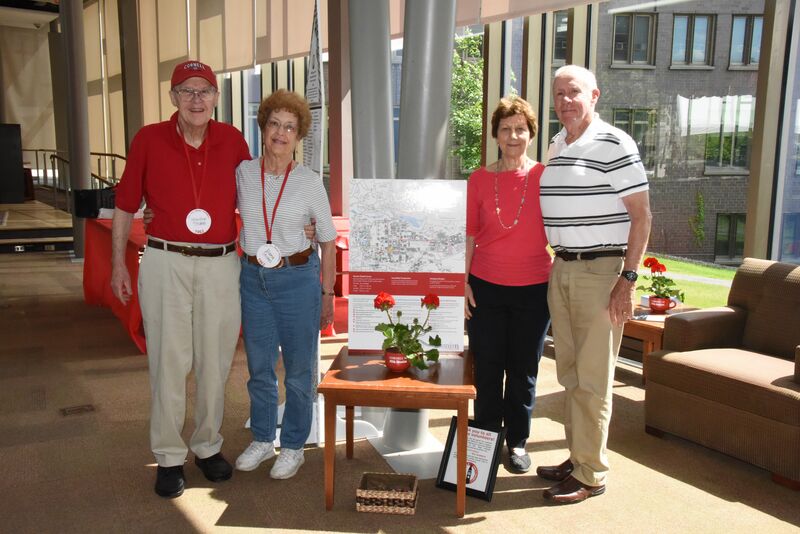 The weekend also included Books as Messages: An Exhibition/Reception at the Cornell Library featuring fine printing, artists’ books and other rare editions from the Cornell collections, many of them donated to the University by classmate Helen Rabinowitz Anbinder and husband Paul ’60. 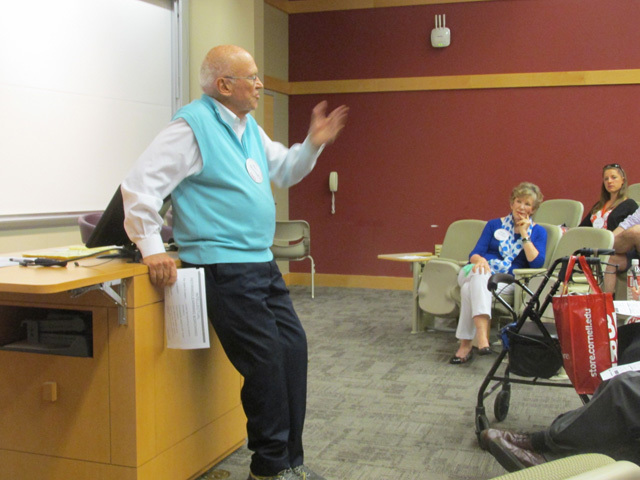 Throughout the weekend John Neuman spoke with more than a dozen classmates concerned about where and how they might live in retirement. 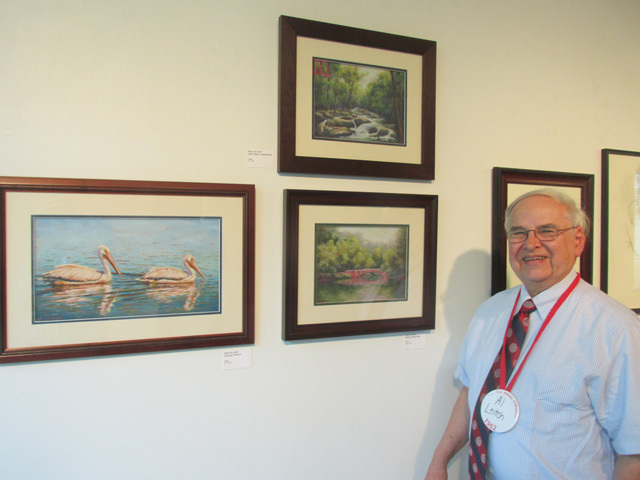 His topic –– “Choosing the Best Retirement Community” –– focused on two alternatives: full service organizations like Kendal of Ithaca and “aging in place” –– in other words, living a comfortable life at home. 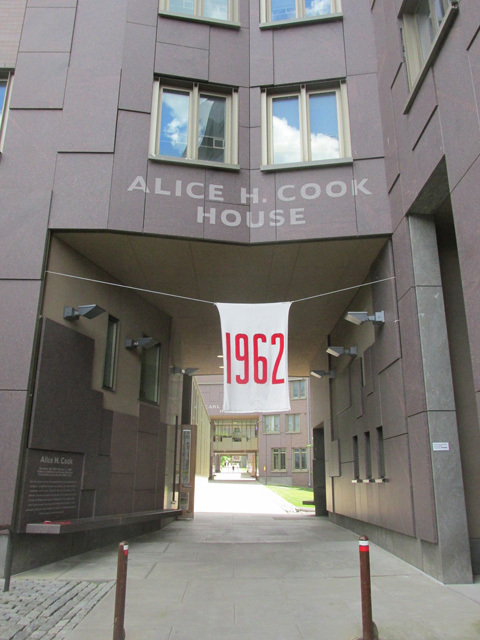 And then there was Friday night—and a wonderful dinner at Alice Cook. 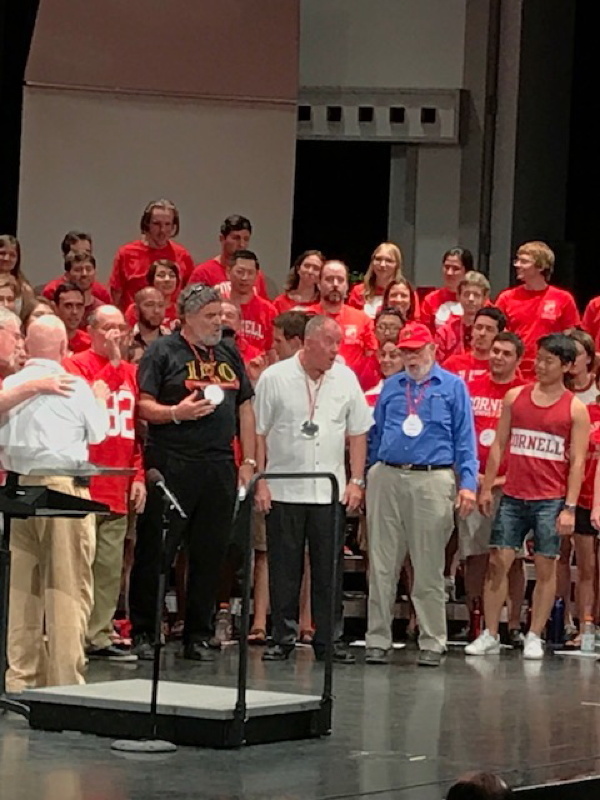 During the Class meeting, we thanked Ruth Zimmerman Bleyler for her service as our President and we elected a new slate of officers to guide us toward our 60th reunion in 2022. But there was more. 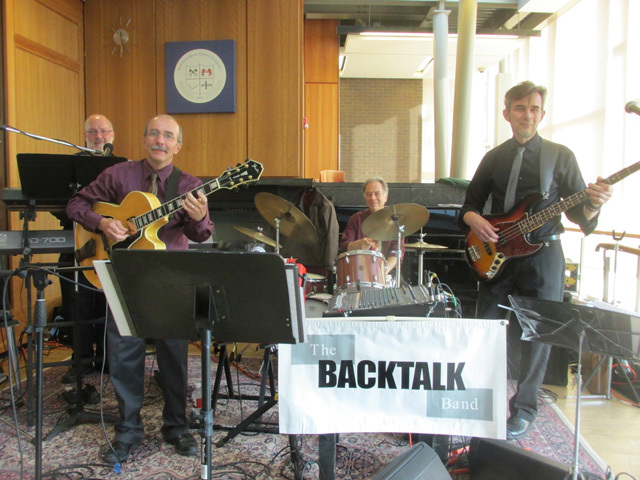 For the past three reunions, we danced the night away to the music of a terrific group from Ithaca College called The Backtalk Band. 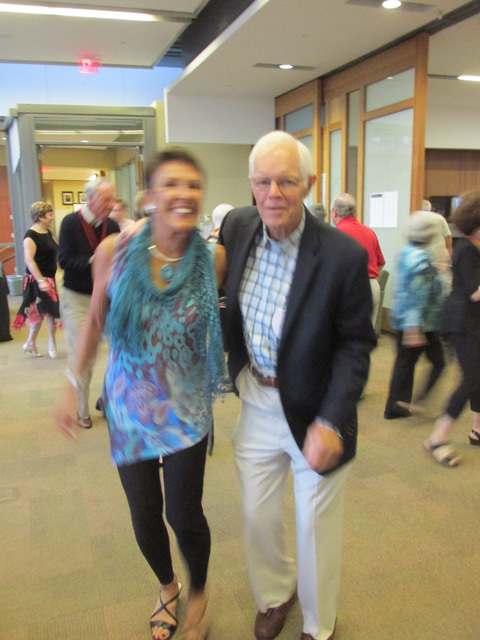 They were so good that, the day after our 50th Reunion ended, we booked them for our 55th! 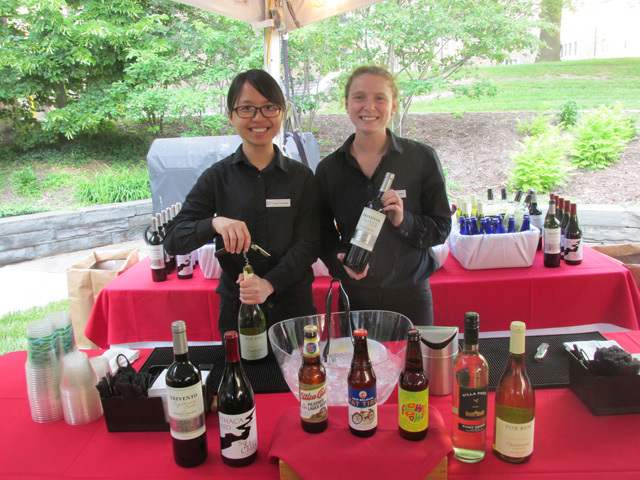 Once again they did not disappoint –– nor did our classmates. 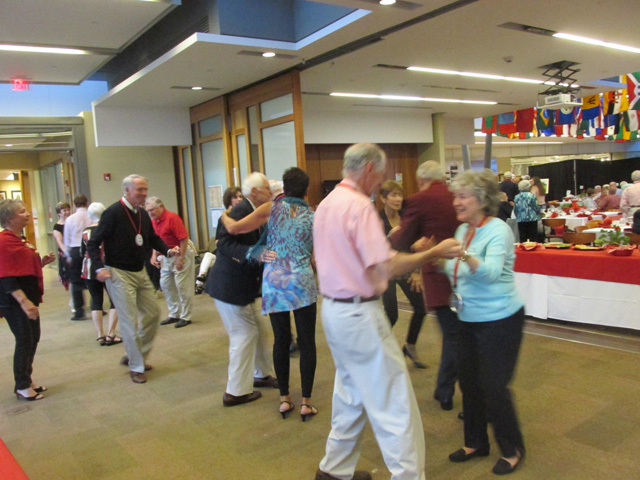 More than a dozen couples took to the dance floor like teenagers. 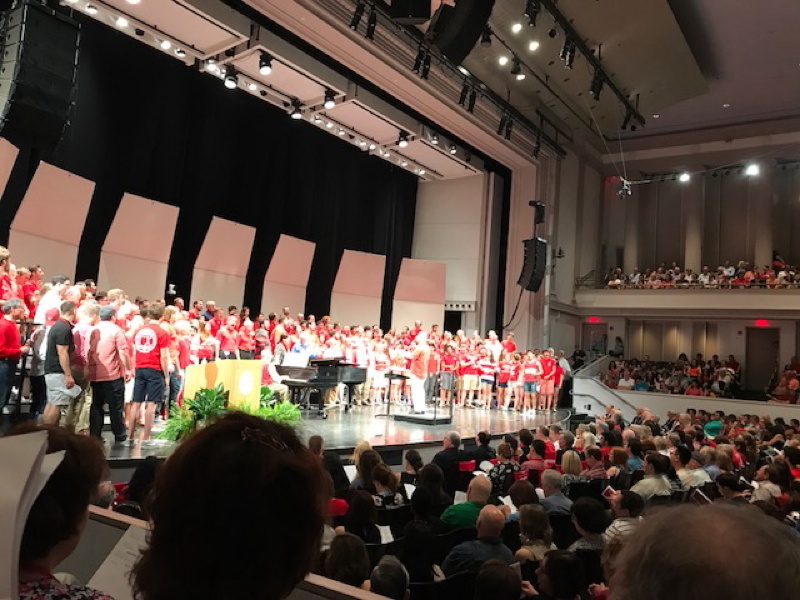 Spotted in that crowd were Bill Coggshall and Janet Littlefield, Neil and Ro Schilke, Frank and Betty Quirk, Barbara Garson Stern, Rita Milkman Gershengorn and Kent ’61, and many others –– proving they were more than alive at 55. 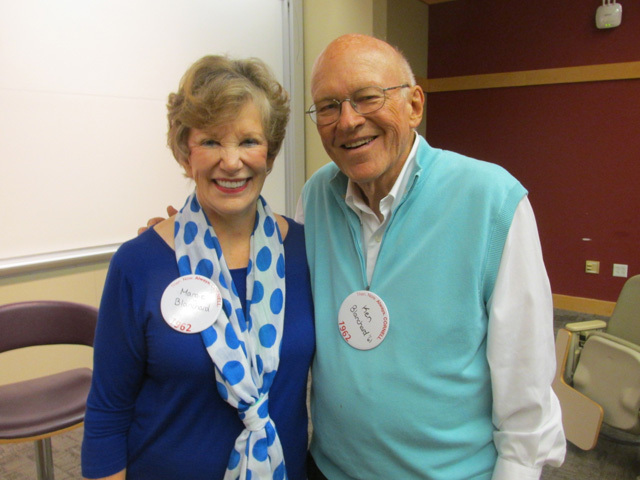 A real Saturday highlight was the Refiring Reunion Workshop presented by classmate Margie McKee Blanchard and husband Ken ‘61. Ken and Margie, who’ve built a fabulously successful business of motivational seminars, held a very engaged group of classmates enthralled for two hours as they described “Refire! Don’t Retire.” No, not career advancement or financial gain. Rather concentrating on healthy living, warm relationships, continued learning, meaningful involvement in community –– and the development of a personal sense of spirituality. We could not end this report without mentioning a placard put up by our great outgoing class president Ruth Zimmerman Bleyler. 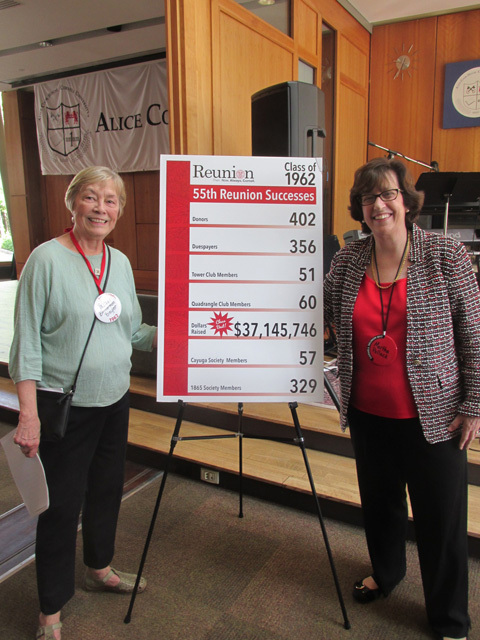 With pride and thanks to all who donated, Ruth announced that our 55th Reunion donations totaled $37,170,664! And that figure, which is a class best for reunion giving, is expected to be even higher before the end of the campaign on June 30. WOW! And we can’t forget to give a shout-out to the wonderful student clerks who staffed headquarters under the direction of Frank Quirk. 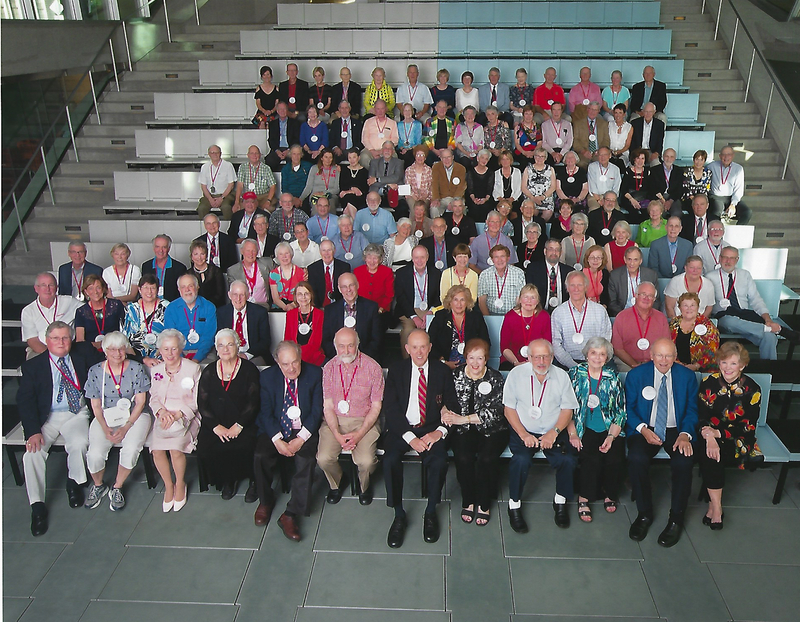 Cornell University has published group photos of all the 2017 Reunion Classes. We recommend that you purchase this photo in a size no smaller than 8×10. Enjoy the many photos from this wonderful weekend. This is a self timed slideshow. Or, you can click on the picture to move to the next one. You can view the caption by moving your cursor off the picture and back onto the picture. Neil Schilke, Frank Quirk, Char Collister, Evelyn Eskin, Don Juran, Nancy Clark, John Lowrie, and Alex Vollmer.